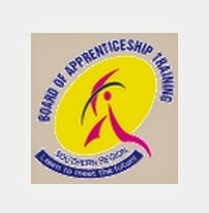 About Organization: The Board of Apprenticeship Training is an autonomous organization under Min. of Human Resource Development, Govt. of India established with the sole aim of improving the capability of fresh Engineers through one year 'on the job training' in actual working environment as Graduate / Technician/ Technician (Vocational) apprentices under the provisions of the Apprentices Act, 1961 amended in 1973 & 1986. How to Apply: The format of the application can be downloaded. The envelope should be superscribed on the top as “APPLICATION FOR THE POST OF _______________________”. No TA / DA will be paid to attend the typing test / interview.